The fear of lifts is equally as real to the individual suffering as a fear of being attacked is to other people. Even though it might seem irrational, so are the majority of phobic disorders or fears. Fear is not a logical emotion; it is there to keep us safe, and so is much more powerful than thought. That is why when coping with a fear of elevators, or elevator phobia, we have to eliminate the fear at the same level it is generated within the subconscious mind. Using a hypnotic approach we can gently re-educate the unconscious mind to react to elevators with the exact same stillness that other people do. 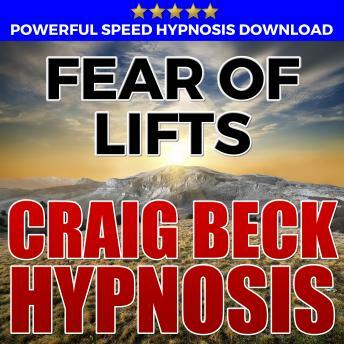 Designed to quickly help you reduce and remove the overpowering fear of elevators; Use this powerful and proven MP3 hypnosis download to help with lift agoraphobia.